Melanie Zareie attends a midwifery appointment at Piedmont Athens Regional on March 5, 2018. Zareie is currently 36 weeks pregnant with her second child. Melanie Zareie teaches kids yoga at ReBlossom in Athens, Georgia, on March 1, 2018. Melanie Zareie, a 33-year-old mother of one and yoga instructor in Athens, Georgia, was due to deliver her second child with husband, Cas, in April 2018. Zareie teaches yoga classes to kids and adults a few times a week and is a stay-at-home mom to her 18-month-old daughter, Juniper. One of her biggest priorities during her pregnancy has been to make the time feel magical and special for Juniper. Zareie experienced a healthy pregnancy with no complications and planned to have a natural birth. The Zareie family takes an evening walk together through their Athens, Georgia, neighborhood on March 19, 2018. Juniper Zareie, 18 months, eats yogurt in her Athens, Georgia, home while mom Melanie stands by on March 19, 2018. Melanie Zareie, 33, picks up daughter Juniper, 18 months, from Mom's Day Out at First Presbyterian Church in Athens, Georgia, on Tuesday, April 3, 2018. Juniper attends the program during the week so Zareie can run errands and get things done around the house before the arrival of her second child who is due April 10, 2018. Melanie Zareie, 18-month-old daughter Juniper and dog Willy play with bubbles outside their Athens, Georgia, home on Monday, March 19, 2018. Melanie Zareie stops daughter, Juniper Zareie, 18 months, from touching an electrical outlet in their Athens, Georgia, home on Tuesday, April 3, 2018. Zareie is due to give birth to her second daughter, Olivia, in one week. Melanie Zareie and husband, Cas, walk to their delivery room in Piedmont Athens Regional Hospital in Athens, Georgia, on April 9, 2018. Cas Zareie sits with wife, Melanie, during labor in the bathroom of their delivery room at Piedmont Athens Regional Hospital in Athens, Georgia, on April 9, 2018. Melanie Zareie goes into active labor at Piedmont Athens Regional Hospital in Athens, Georgia, on April 9, 2018. 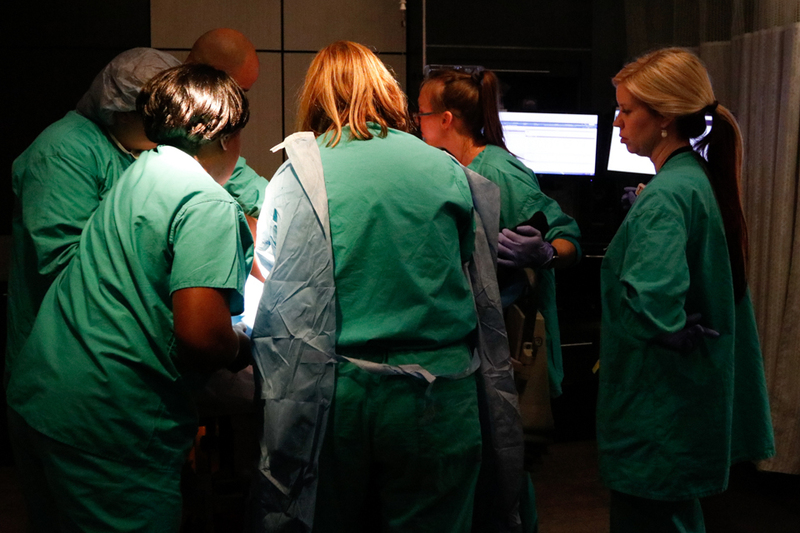 Multiple doctors and nurses are called in to the Zareie's delivery room at Piedmont Athens Regional Hospital in Athens, Georgia, due to labor complications on April 9, 2018. Baby Olivia Moon Zareie was born on the evening of April 9, 2018. She suffered a traumatic injury at birth, Hypoxic Ischemic Encephalopathy, as a result of oxygen deprivation. She was transferred to the Gwinnett Medical Center Neonatal Intensive Care Unit on full life supporton April 10. The Zareies returned home from the NICU on May 1, their 8-year wedding anniversary. Baby Olivia suffered severe damage to her brain and will continue to require treatments and therapies for the rest of her life. Melanie Zareie spends time with her newborn daughter Olivia Moon Zareie at the Gwinnett Medical Center NICU on April 11, 2018.